There is nothing better than seeing an adorable parent and child duo with something special that bonds them tightly together. For some lucky duos, their special “thing” ends up going viral on the Internet. This list focuses on some amazing parent-child teams and their adorable moments together! Stanley Freeland Jr. and his four-year-old son Josiah perform coordinated dances together on Instagram and the result is absolutely adorable! The two live in Atlanta and say they have a special reason for sharing their videos. Speaking to news team Fox 5 DC, Stanley said, “I feel father like son videos bring much joy and peace in the world today.” The two coordinate everything including the dance and their outfit of the day. Stanley has also observed how impactful it is to see his son is looking up to him. He also believes that it will encourage other fathers to have healthy relationships with their children. The duo has also now gained popularity and they have even released their own version of the alphabet song on Spotify and Apple Music! Katie and Ava Ryan are among the parent and child duos who have hit it big. Nowadays, they produce regularly carefully crafted content and even have sponsorships on social media. However, it really all started from a simple Vine of a tiny baby-faced girl staring into the sunset saying, “I smell like beef.” Ava’s mom, Katie said, “I didn’t think her humor was going to translate to so many people. 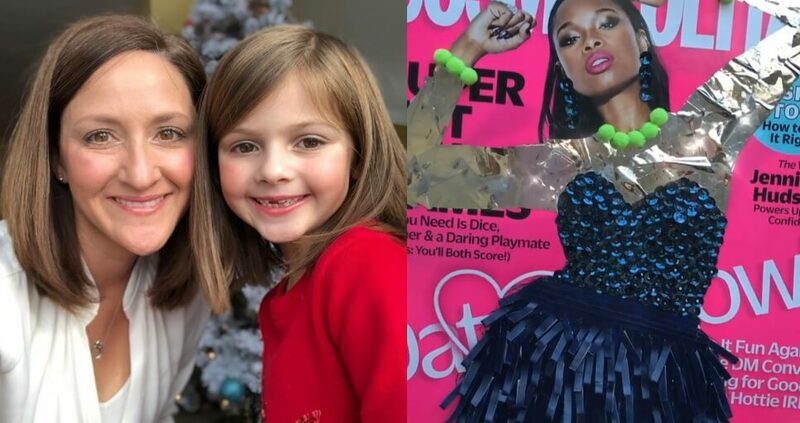 I just thought she was funny to me, because she’s my daughter.” Her silly Vines have now spawned into something much larger and her YouTube and Instagram videos rack up millions of views. However, it was actually tragedy and a little girl’s unbelievable knack for comedy that spawned the entire ordeal. When Ava was just a toddler, her mom Katie Ryan faced a horrible tragedy. Katie’s younger sister Sarah, died after a lifelong struggle with cerebral palsy and Prader-Willi Syndrome. After the death of her Aunt, Ava helped bring joy to her mom and the rest of her family without even knowing it. Ava’s mom Katie said, “Even in those times, she was able to make me laugh. My parents, too — they were in such despair and grief. I think Ava gave them a reason to kind of keep going. She became our sunshine — I know it’s kind of cliché — in the darkest time of our lives.” Nowadays the hilarious toddler has grown into an equally hilarious seven-year-old girl who seems to be a natural comedienne. She has even created her own characters like Charlene your hot-mess friend and Bossy Boss Lady. If one thing is for sure, Ava will continue to spread joy to people for years to come. 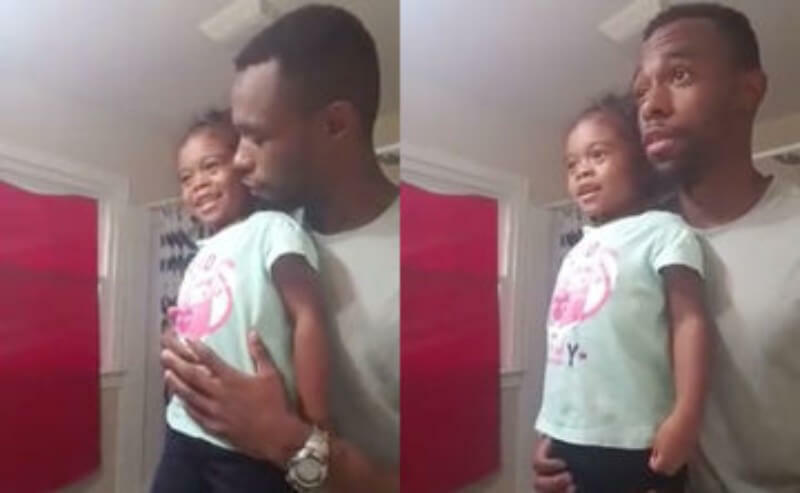 This amazing Dad takes his daughter through daily affirmations each morning to get her ready for her day. According to many family therapists and psychologists, doing at least 30 days of positive affirmations can actually change your brain and your life. This Dad tells his daughter at the beginning of the video posted, “Look at yourself, look in your eyes. You gotta see it, OK? You gotta feel it.” He then has her repeat the following affirmations, “I am strong. I am smart. I work hard. I am beautiful. I am respectful. I’m not better than anyone. Nobody’s better than me. I am amazing. I am great.” He then asks her, “If you fall…?” Aaliyah replies, “I get back up.” We think the messages this father is instilling in his daughter will change her world — not to mention the world around her — for the better! Nephi Garcia is a Californian dad of three who also happens to be an incredible fashion designer. Originally, he worked in high fashion but after having children completely re-changed focus. After planning a family vacation to Disney World, his daughter Lili asked if he would make a costume that she could wear for the trip. 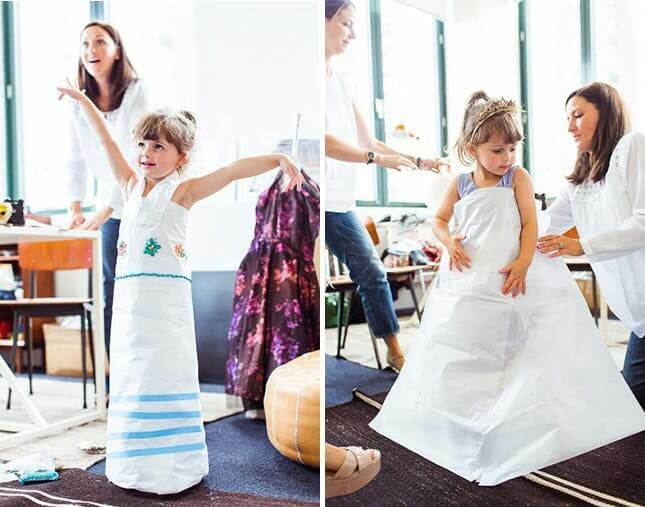 He ended up making her a Fairy Godmother dress with some scrap fabrics he had lying around. The reaction was amazing. People at the park asked Lili for autographs and Nephi ended up getting tons of order requests for dresses of their own. He soon started making something he calls “transformation dresses” which are mind-blowingly awesome! Nowadays Nephi gets his whole family on the fashion fun. He told Buzzfeed, “Lili really loves the transformation dresses. And my son really loves to be dressed as the villains, especially Gaston.” It’s easy to see why his dresses would be such a hit, especially the transformation ones! Nephi has a personal goal of making costumes that are totally outside of the ordinary and are all one of a kind. He also makes adult dresses, costumes and even takes custom requests. The idea of the transformation gown started at home and, unsurprisingly, it was from the mind of his own little princess. Nate Denton is a single father from Stoke-on-Trent in England. 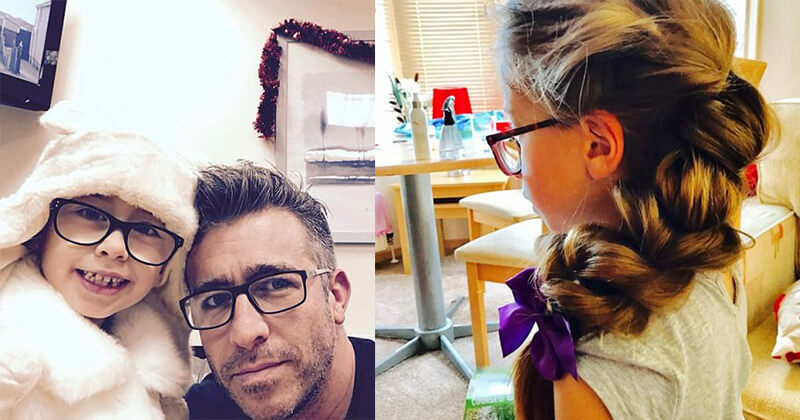 Even across the pond, there are dads who totally have daughter hairstyles down! 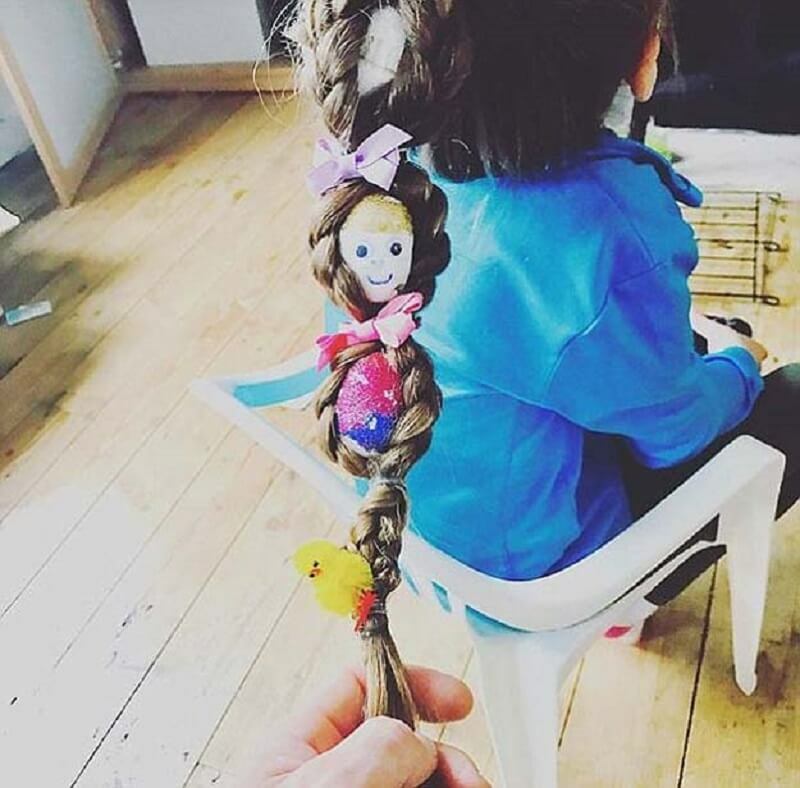 Nate started the Instagram @detanglingdad and shows off his daughter’s amazing hairstyles. Nate wasn’t always an amazing hairstylist but after becoming the sole parent of his children he wanted to ensure his daughter didn’t have the experience of having her hair done badly. He picked up some trusty tools and learned how to do his daughter’s hair. 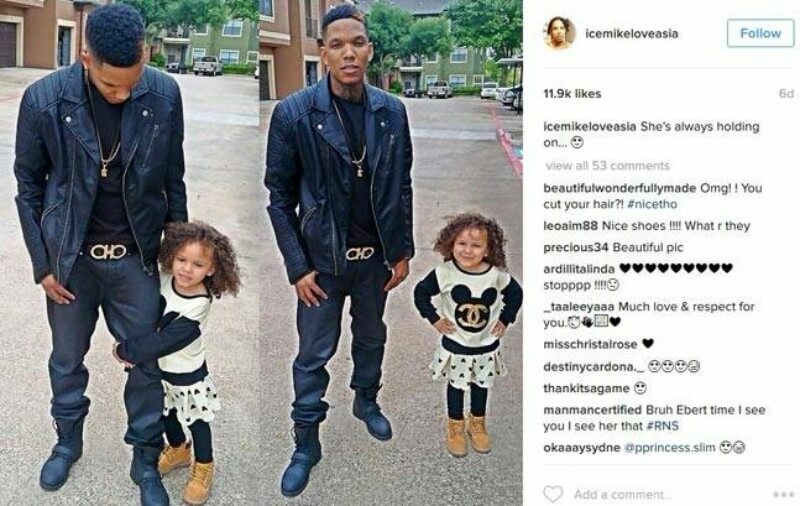 Yet another challenge is that his daughter’s hair was waist-length. After the end of Nate’s romantic relationship, he ended up as the sole parent of his children and has been driven by the desire of making sure his kids want for nothing and miss out on nothing. Although Nate’s daughter’s extremely long hair seemed an undoable task, he definitely put in the work. However, Nate has truly risen to the challenge and told the DailyMail, “I used to break into a sweat at the thought of putting my daughter’s locks into a ponytail and a plait would have been absolutely impossible… There is actually nothing girly about doing your daughter’s hair. When your six-year-old daughter asks you if you can do a fishtail plait and you can you are a don. It’s that simple.” Nate believes that parenting, and even doing hair, isn’t something that only mothers should do, and we couldn’t agree more! Four years ago, mom Angie had a run-of-the-mill Instagram that often showcased her then four-year-old daughter. But soon her daughter, whom Angie lovingly calls Mayhem, started posting more and more about the four-year-old’s hot fashion takes. It turns out, the little one was extremely interested in fashion from an early age. However, instead of just playing dress up with costumes bought from the store, Mayhem wanted to make her own. One day, Angie thought they should design a dress out of paper and they never looked back. One might think a four-year-old doesn’t participate that much in the process, but Angie says Mayhem is incredibly involved. Angie says that the designs are about half done by her and half by Mayhem, which is quite impressive for a four-year-old. Angie said, That’s one of the best things about this project, I see her learning new skills every single day. At this point, she knows exactly how many sheets of construction paper she needs to make herself a top and a bottom. She can lay the entire thing out and tape it together all by herself.” Talk about perfecting fine motor skills! Angie says that Mayhem has even made some of the dresses totally on her own. They often fine designs of celebrities in magazines or on TV while on the red carpet and mimic the fashion. Now, Mayhem is eight and still loves fashion. Tons of things have happened since she was a four-year-old fashionista, including working on her own line with J. Crew after her paper fashions went viral. These days, Angie doesn’t post as many paper dresses on her account. More recently, Mayhem still has her fashion hobby and now even works at redesigning celeb dresses by working over the cover of fashion magazines. It seems like the whole fashion thing is definitely here to stay for her. 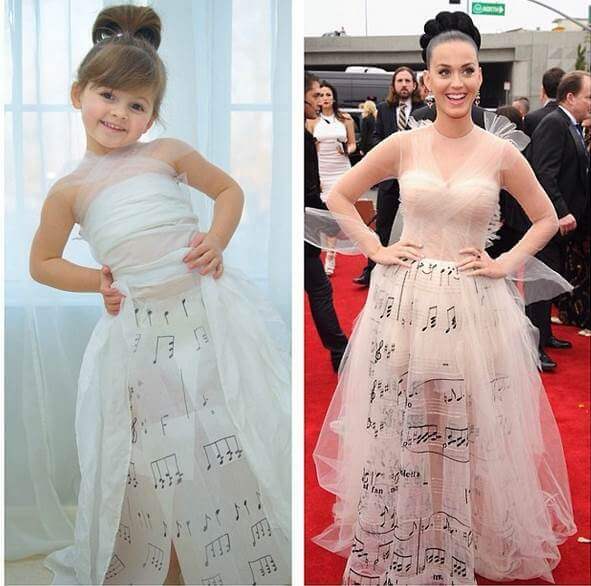 We think this little girl definitely has a bright career on the horizon! Mom Charity Grace LeBlanc started an Instagram that was already gaining traction for her amazing yoga moves. However, after she began sharing a very particular kind of post, her Instagram popularity soared to new heights and she now has over 300,000 followers. The first post that that really caught the eye of the Internet garnered her the title of “Spider-Mom” after she was pictured literally sitting on the ceiling (as seen above). She soon began incorporating her kids into more and more of her yoga routines after they began copying her moves. Charity first began to take up yoga after the birth of her first child, son Oakley. Soon, the entire Leblanc family was in on the deal. Charity’s husband Andre soon built her a hanging ledge and gym inside the house, and now the entire family gets in on the workouts. Charity told People, “I caught my daughter swinging on one of the workouts rings we have in our house, and she look at me and said ‘Wook mommy! I strong like youuu!’ ” Of course, Charity and her adorable kids have been a huge hit on social media and many claim that she inspires them to be themselves and to pursue fitness that they love and enjoy. And the best part? She’s also inspiring her kids to have a healthy lifestyle! Ash’s daughter began practicing gymnastics three years ago and quickly excelled. Originally, Ash saw trying to copy the moves as simply a way to encourage his daughter. However, she clearly surpassed him quickly. After it was obvious how hilarious the outcomes of his attempts were, they began to share him on Instagram as MyGymDad. Ash’s daughter is actually a competitive gymnast and the Instagram page is actually a way to let off steam. He said, “My daughter trains for 30 hours, six days a week and it’s serious, so we do what we can to keep it fun.” Nowadays the endeavor is a family idea and Ash’s son Byron has taken up filming the bits for social media. Hoda Kotb made headlines for adopting her daughter Haley in 2017. Hoda had long yearned to be a mother but was unable to have a child of her own after enduring treatments for breast cancer. Needless to say, she is now one ecstatic woman and is clearly over the moon to be a mom. Hoda and her partner of two years, Joel Schiffman, decided to delve into parenthood together and adopted baby Haley Joy. Hoda revealed the news to the public with a phone call to Kathie Lee on air with the Today show. Hoda said, “That little girl, Haley Joy — I’m crying — is my daughter. I adopted her, and you can hear her, that’s her crying. She’s a Valentine’s baby. She’s a little nugget. She is the love of my life.” Like her middle name, Hoda is sure to pass down the palpable joy everyone can feel emanating from each screen she graces. Another wonderful thing that Hoda has chosen to pass on to her baby daughter is her love of the football team the New Orleans Saints. She first became a fan of the team because she originally worked in the city of New Orleans from 1992 to 1998. Hoda and Haley were dressed to the nines in their Saints best as Hoda taught her how to cheer for their team. She also live-tweeted the game with fans and unfortunately lost to a last-minute touchdown, meaning the team will not end up in the Superbowl this year. Haley also learned a great lesson in great sportsmanship!